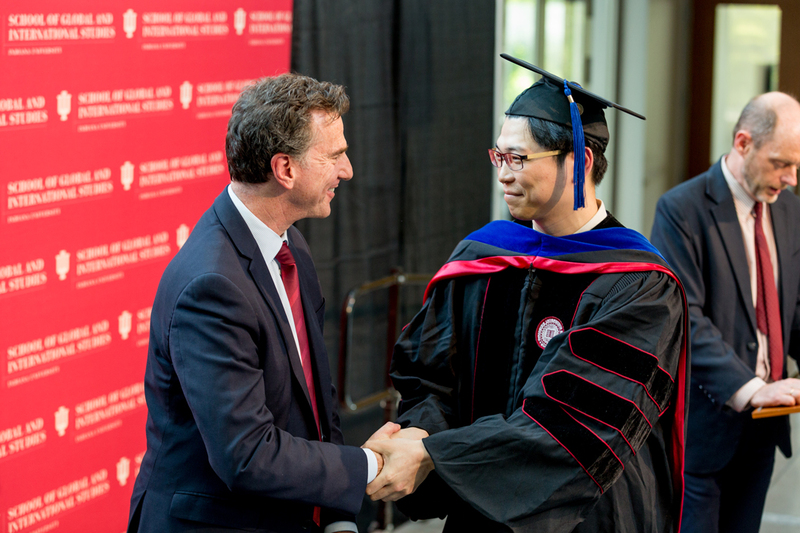 Congratulating students on their accomplishments, Feinstein reminded them of their connection to Indiana University’s longstanding global legacy. 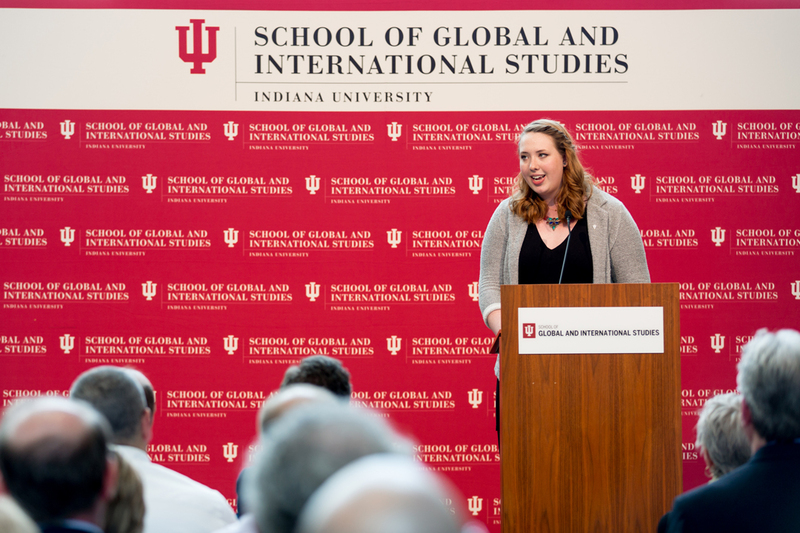 “From our earliest days, IU has been a welcoming environment for students and scholars from around the world. And we’ve served as an academic ambassador throughout the world. Houston, who minored in Economics, earned a Certificate in Global French, and spent her junior year at Sciences-Po in Aix-en-Provence, is headed to Notre Dame Law School to pursue her commitment to human rights. After H ouston spoke, Chair of International Studies Padraic Kenney and Chair of East Asian Languages & Cultures Scott O’Bryan read the names of the graduates arriving on stage along with their personal messages. Hailing from Bogota to Taipei, Yorba Linda to Churubusco, and Lebanon to Washington (their Indiana iterations, that is) students’ shared gratitude (“I could learn to say ‘thank you’ in a million languages and it still wouldn’t be enough.”) and inspiration (“My SGIS experience has given me more expansive visions of justice”). SGIS awarded 95 baccalaureate degrees this spring, along with 35 master’s degrees and five Ph.Ds. Graduating seniors are embarking on Fulbright Scholarships to Brazil, Cyprus, France, and Malaysia, and Boren Scholarships in Azerbaijan, service in the Peace Corps in Botswana and Malawi, and careers in the US Army and Air Force. Others are going into the private sector and NGOs—in the Philippines and Uganda—and pursuing law degrees, degrees in social work, and doctoral studies in geography and anthropology. 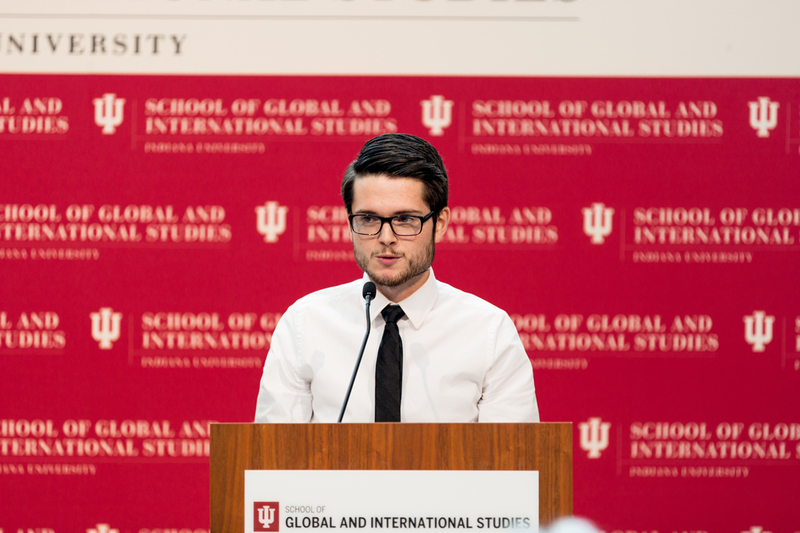 For downloadable photos from the convocation ceremony, visit the SGIS Flickr page.